In an unusual move, Kensington Palace released a statement on Harry's relationship with Meghan Markle. Kensington Palace has confirmed our suspicions: Prince Harry and actress Meghan Markle are dating. On Tuesday, Nov. 8, the palace released a statement via Twitter, condemning the media for harassing and abusing the prince’s girlfriend of only a few months. The statement mentions that it was "not right" the 35-year-old "Suits" actress, who lives in Toronto, should be subjected to such treatment, and although the Prince rarely takes formal action over "fictional stories," in the past week "a line has [been] crossed." "[Prince Harry's] girlfriend, Meghan Markle, has been subject to a wave of abuse and harassment. Some of this has been very public — the smear on the front page of a national newspaper; the racial undertones of comment pieces; and the outright sexism and racism of social media trolls and web article comments. Some of it has been hidden from the public — the nightly legal battles to keep defamatory stories out of papers; her mother having to struggle past photographers in order to get to her front door; the attempts of reporters and photographers to gain illegal entry to her home and the calls to police that followed; the substantial bribes offered by papers to her ex-boyfriend; the bombardment of nearly every friend, co-worker, and loved one in her life." 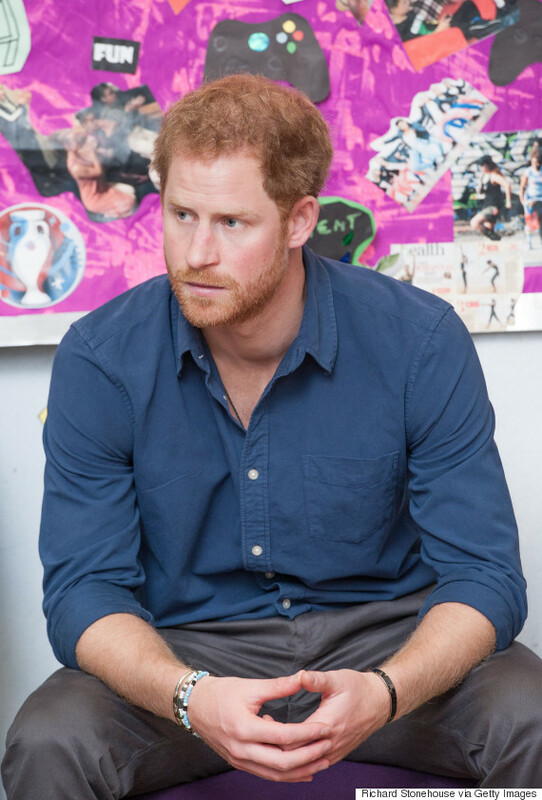 Harry's communications secretary also released the same statement, which notes the prince is worried for his girlfriend's safety and "is deeply disappointed that he has not been able to protect her." "It is not right that a few months into a relationship with him that Ms. Markle should be subjected to such a storm," the statement continues. "He knows commentators will say this is ‘the price she has to pay’ and that ‘this is all part of the game’. He strongly disagrees. This is not a game — it is her life and his." It was just over a week ago when news broke that the 32-year-old prince and Markle were dating. At the time, it was just a rumour as there were no pictures of the couple together, however, reports said the twosome met in Toronto over the summer at the launch of the countdown for the 2017 Invictus Games. Since the news spread, the actress has been photographed leaving her Toronto home and dodging reporters. According to reports, police officers visited her home over concerns that her new profile could be a security threat. It is also thought that Prince Harry had been staying with the American lifestyle blogger when the news broke they were dating. Although initial reports say Harry had originally cancelled a flight to Toronto on Oct. 30, in fact, he was already at Markle's home, and stayed there for at least a few days. In a recent interview with the Vancouver Sun, Markle has stated, "My cup runneth over and I’m the luckiest girl in the world!"